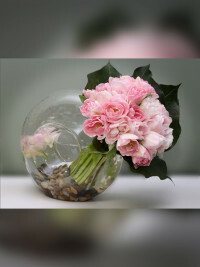 This creation begins with a modern clear vase. It is finished using Antherium greenery and perfect blooms. Warning, this bouquet will leave you staring for hours.